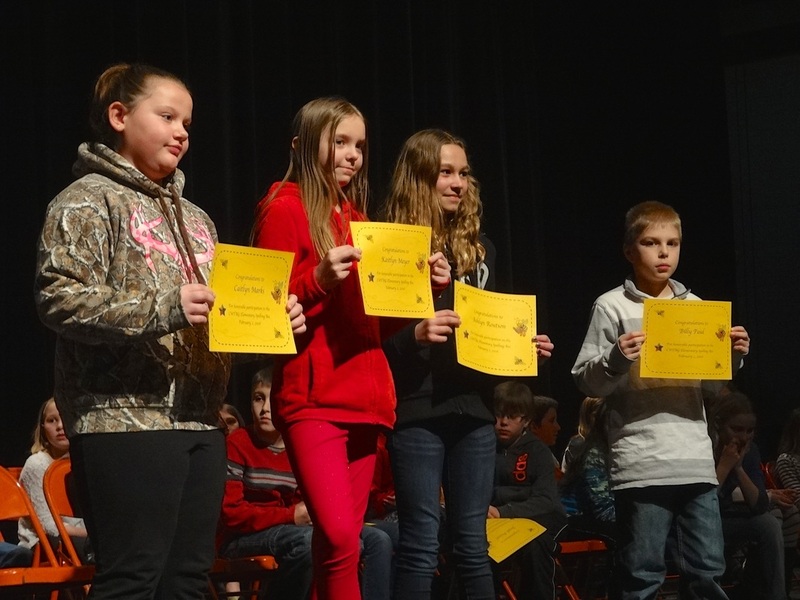 Four Portage Student Participate in the CWTAG Regional Spelling Bee. After spelling numerous words in their classroom, students had to win a spelling bee in their school in order to participate in the CWTAG regional bee in early February. Students came from the districts of Baraboo, Fall River, Pardeeville, Reedsburg, Sauk Prairie, Tomorrow River, Wild Rose, and Wisconsin Dells to make a total of 46 participants. They had to spell words such as polemic, billiards, pomposity, and chortle! Portage students were: Kaitlyn M from Rusch, Caitlyn M from Lewiston, Ashlyn R from Endeavor, and Billy P from Muir. This year's winner was Nicholas B from Sauk Prairie.